Here in the U.S. we've had a rough winter, and all of us are ready for Spring....and along with Spring comes Bacon & Buns! Why Bacon & Buns? Well, first of all, warmer weather means CAMPING SEASON! 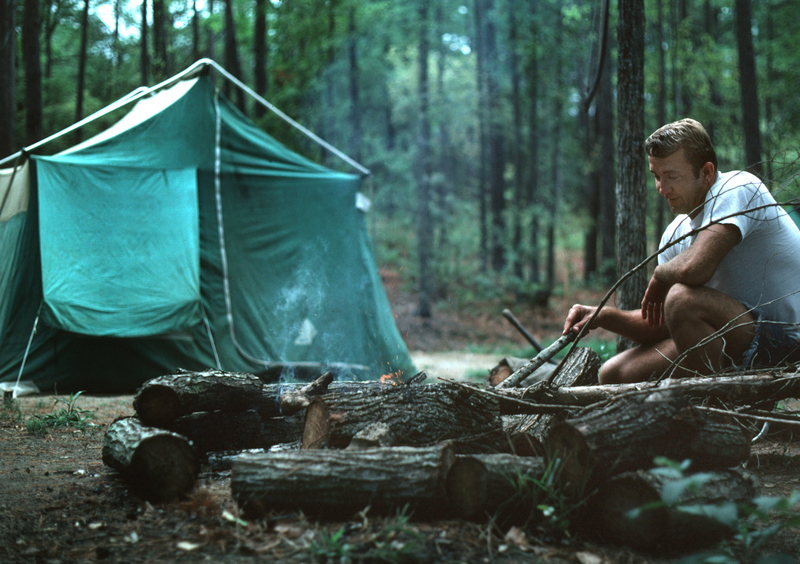 And when I think of camping, I immediately picture (& smell) bacon cooking on the campfire just after dawn, as the sun has just risen and everyone is waking up and rolling out of their tents. After a long winter, I have cabin fever, and can't wait to spend a weekend camping in the back country with my close friends. Nothing beats a long weekend with your friends, completely removed from the hustle & bustle of the city, disconnecting from this technologically overloaded society we live in, and just fully decompressing from the monotonous routine of eat, sleep, work, play, & repeat! So yes, Spring & bacon are like peas and carrots. 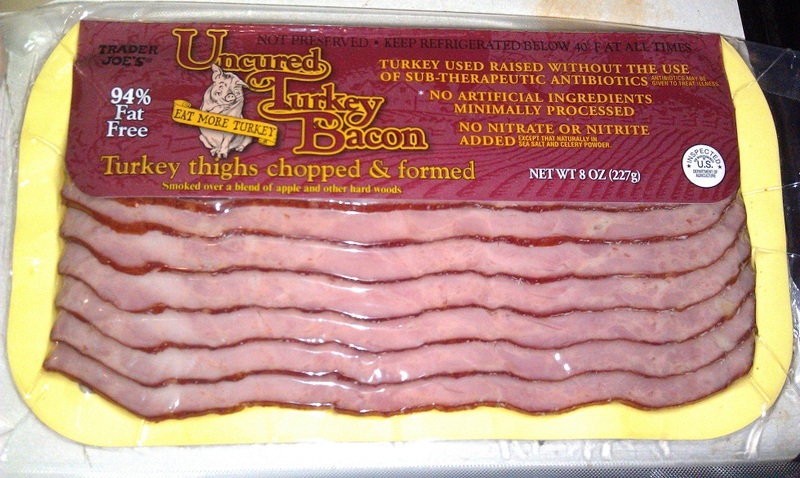 I must note, that I am talking about Turkey Bacon that is......god, Turkey Bacon tastes so good and doesn't come along with all the fat that regular pig bacon does, so it is essentially guilt free! You can eat your turkey bacon & have your strong, fit & toned Brave Angel physique too! Secondly, with Spring, also comes warm weather & your chance to roast those newly toned buns in the sun! Thirdly, bacon is simple, so I'm going to give you a straight-to-the-point lower body 500 REP BUNS ON FIRE workout to go along with your bacon, check this out! This workout involves just four moves, that's it! 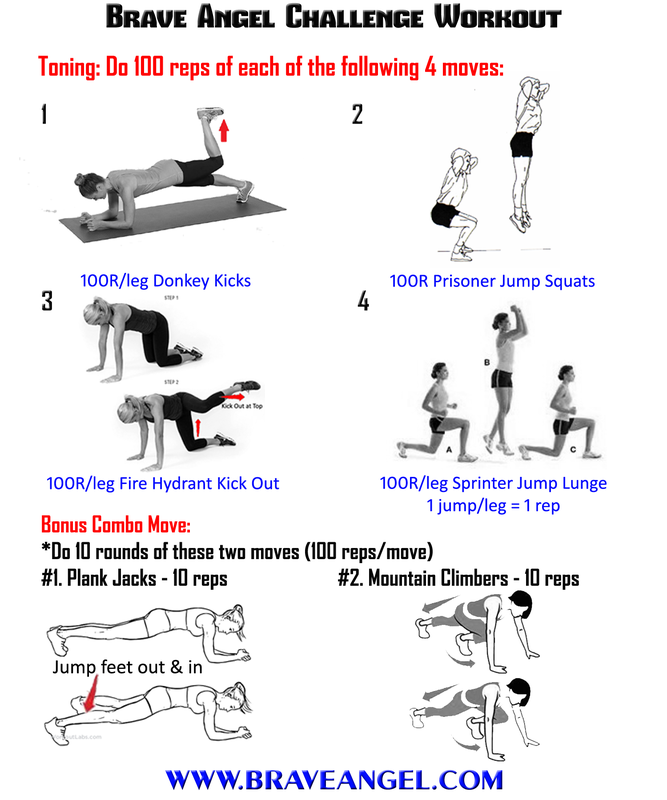 You will challenge yourself to hit 100 reps for each move. And if you do the bonus combo move, you will have done 500 REPS!!! This workout took me 35 minutes, post your times in the comment section below! I want to know your results! Warm-up: Do intervals of 10 seconds of plank hold and 10 reps of jumping jacks for two minutes. Buns On Fire Challenge: Perform 100 reps of each exercise move. My tip is to do 10 reps at-a-time until you reach 100 reps. Then move onto the next exercise. The key to this workout, is to take it one move at-a-time. Tackle each move, 10 reps at-a-time, until you get to 100 reps. Then move onto the next move. Your bum, abs & heart rate will be on fire when you are done!